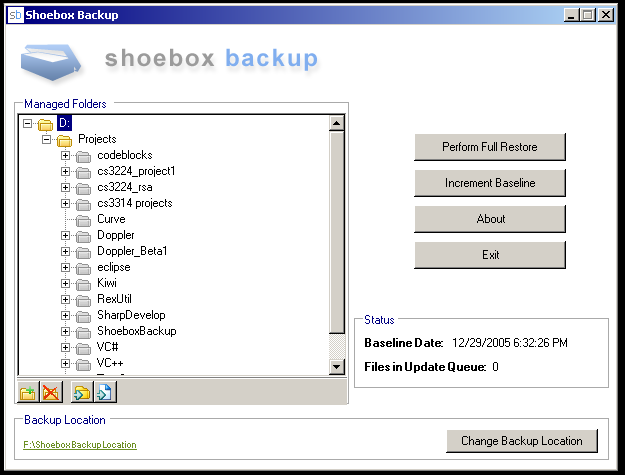 Shoebox Backup is an automatic file backup utility. It sits in the system tray and performs backup operations on files, within selected folders, when they are created, modified, or deleted. Shoebox Backup is designed to be non-intrusive and allow the user to continue working as backup operations are performed. As such, Shoebox Backup uses a minimum of CPU time and RAM to perform its functions.